Populus glauca promises to be a highly ornamental poplar, with fine glaucous foliage holding well into the winter and giving good autumn colour. 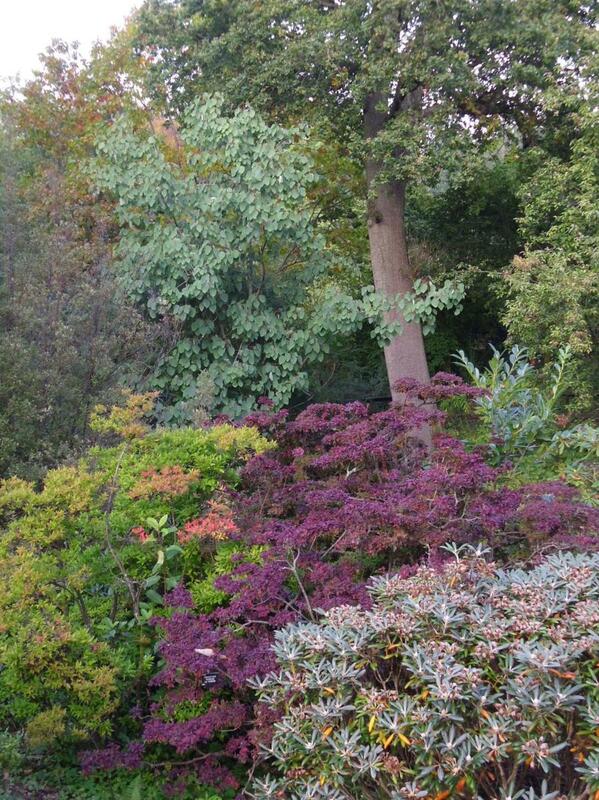 Even when the foliage has fallen it turns to an ashen blue-grey and is an ornamental under canopy feature during the winter. This very rare and little known and remarkable Poplar was first described in 1906 from herbarium specimens collected in Sikkim by Henry H. Haines, a committed Dendrologist then working for the Imperial Forest Service in India. Originally named Populus jacquemontiana var. glauca, it also occurs in east Nepal, where it was seen by Roy Lancaster and others during the Beer, Lancaster and Morris expedition to Nepal in 1976 and from whence later it has been introduced by Tony Schilling in 1983, number 2620. 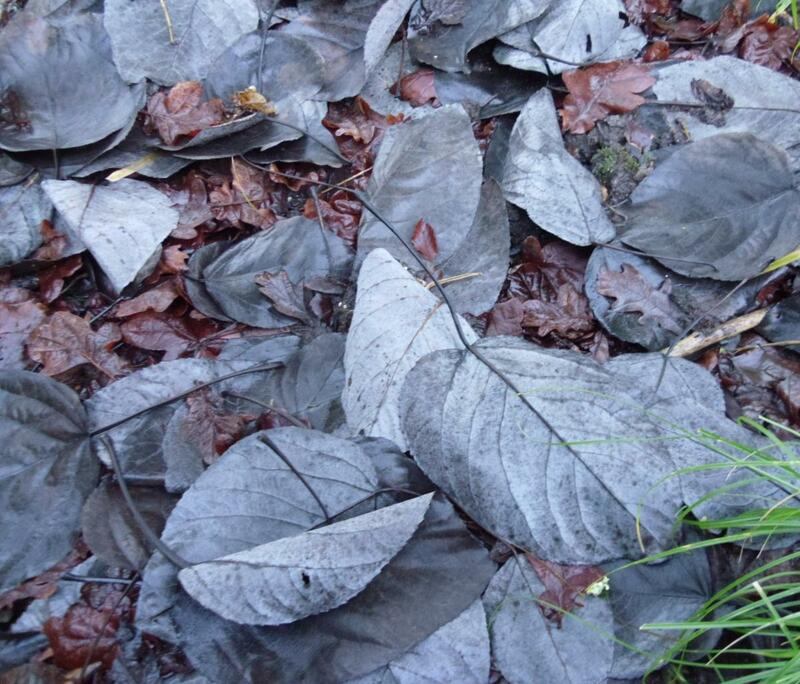 The large leaves are broadly ovate, up to 20cm long and 17 cm wide, shallowly cordate at the base, finely serrated, glaucous beneath, and blue-green above; flattened petioles up to 12cm long are markedly red in colour as are the main leaf veins.Foliage emerges bronze very late in early summer, the flowers preceding the foliage are often bisexual which is an unusual feature in this mostly dioecious genus. Rachis of catkins and the capsules are hairy. 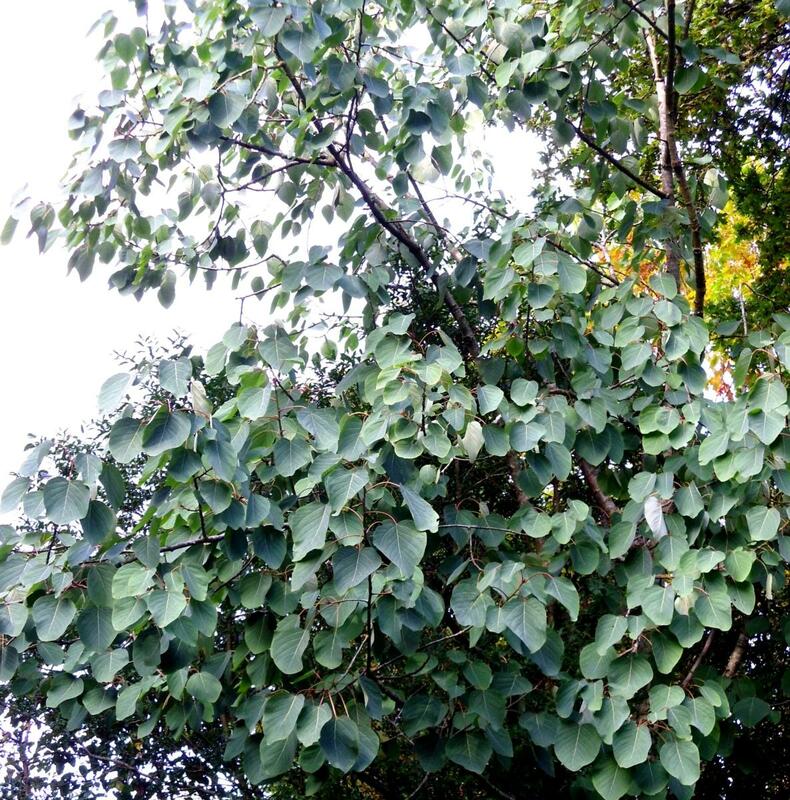 Populus glauca is of uncertain affinity but was considered by C.K. Schneider to be allied to Populus wilsonii, another very rare and beautiful species with which it shares its large leaves and love of water. The Schilling introduction (1983) consisted of five seedlings, three now permanently planted out at Wakehurst Place in Westwood Valley, another is planted out in the Sir Harold Hillier Gardens in the bog garden and has reached over 10 metres (2016) and is the current Champion Tree in the UK for this species. 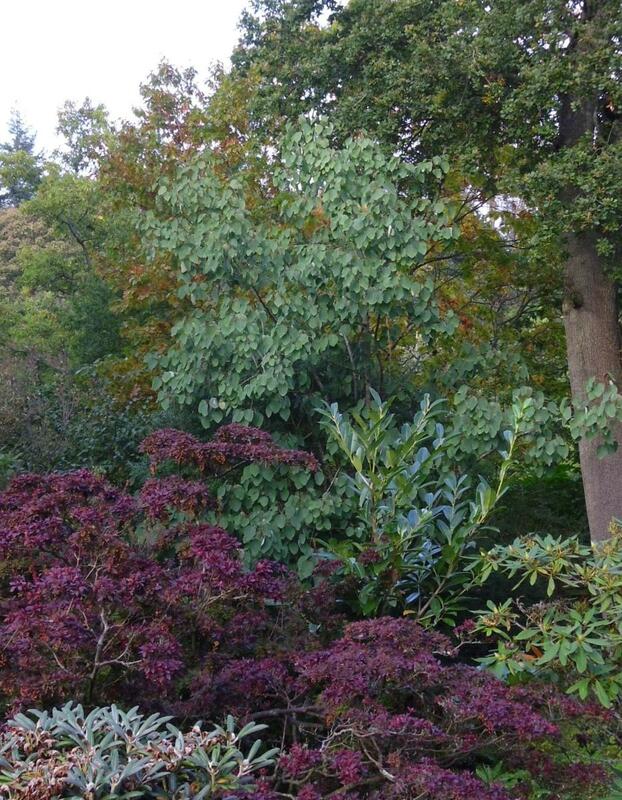 I first became properly aware of this species in September 2014, when on a visit to the Hillier Gardens and when Roy Lancaster showed me the Champion Tree growing there and I was inspired to own one. Despite later introductions of this species by both Keith Rushforth and Maurice Foster, this lovely tree has never been readily available. 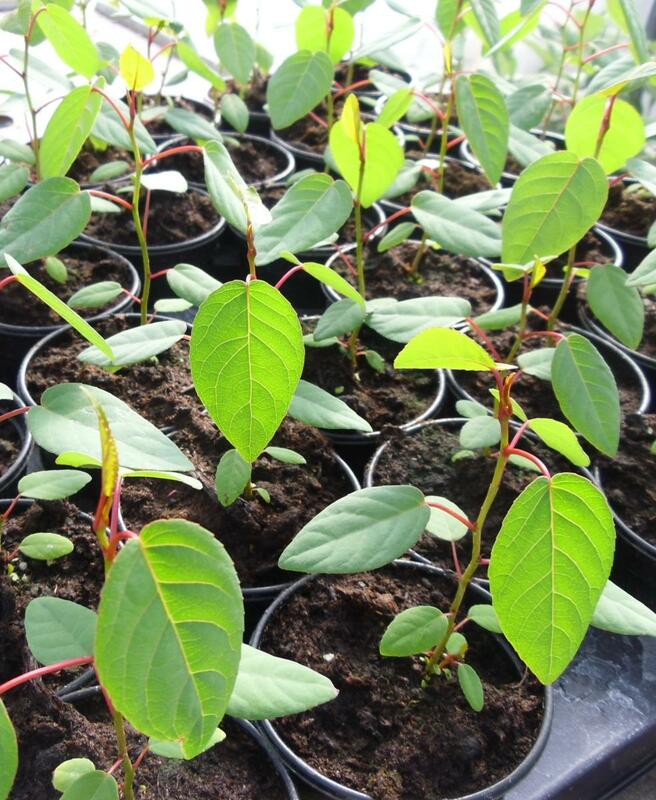 I am proud that after two years of trial and error our nurseries have produced perhaps the first seedlings to be made available of this very special tree - but be quick, there are not many.